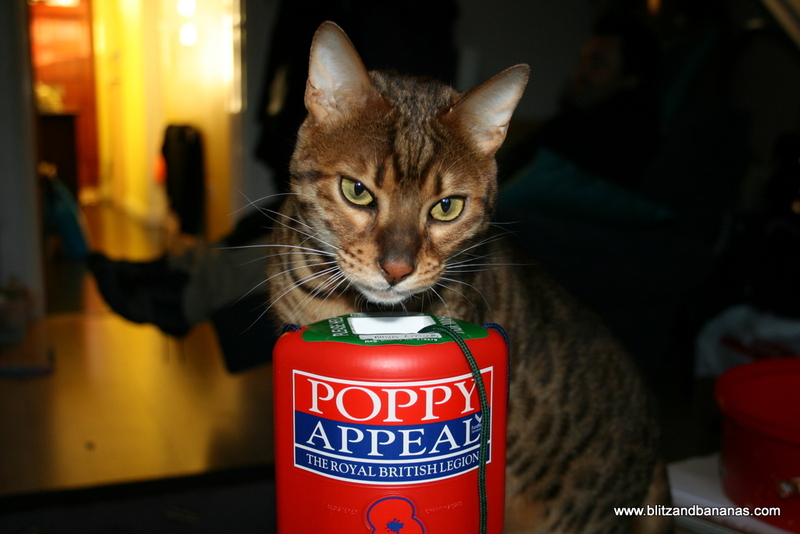 – November 8, 2012Posted in: Poppy Appeal & Charity Support, The Premiere! We’re delighted to be officially launching Blitz & Bananas nationally this Remembrance Day weekend with the involvement of the Royal British Legion’s Poppy Appeal. We have been working with them since the film premiere in April to find ways of raising more funds through our film. DVDs are £12 (+£2 P&P for the UK). The Poppy Appeal will receive 30% so please support us! Please ask for P&P price for abroad. or send your name, address, contact number and email address to: Blitz & Bananas PBW! 28 Gumping Rd, Orpington, BR5 1RX along with a cheque payable to Anna Littler and details of your order. 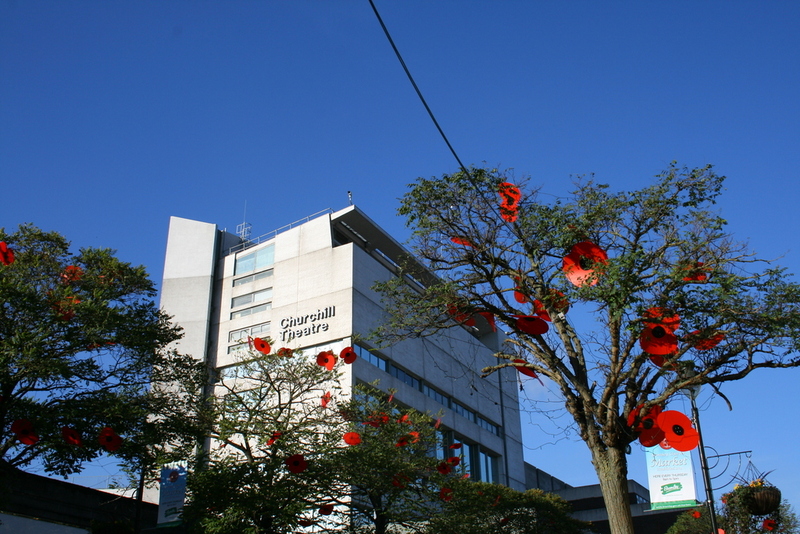 To raise funds and raise the profile of Blitz & Bananas, Anna Littler, writer/director had a jam-packed few days with various events over Remembrance weekend. Little ‘Bessie Smiley’ (above), the star of Blitz & Bananas, helped to celebrate the launch of the DVD. On Friday 9th, we had a private screening and fundraising event in Locksbottom, Kent for 100 people at a local organisation! Anna loved watching the film with a group of this size, as everyone’s gasps and giggles were audible! What an enthusiastic and receptive audience! On Saturday 10th, we had a Blitz & Bananas DVD and Poppy Appeal Stall at Hayes Christmas Fete in Kent. Anna was dressed as a 1940’s Charlady and was accompanied by Leonie, one of the actresses in the film too who looks like a 1940’s model! On Sunday 11th, Anna took part in various Poppy Day and Remembrance activities, as well as raising funds. 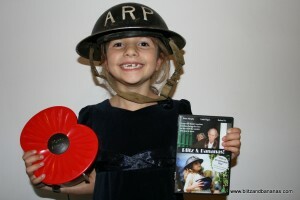 We also have supporters helping to promote the film around Kent, Lancashire and Yorkshire. 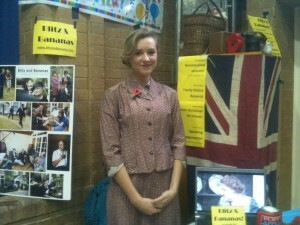 Thanks also to the Evacuees Reunion Association for their recent national publicity and to Past Forward magazine. Anna Littler (right) with Les Boyle whose childhood memories of being evacuated are included in the film. 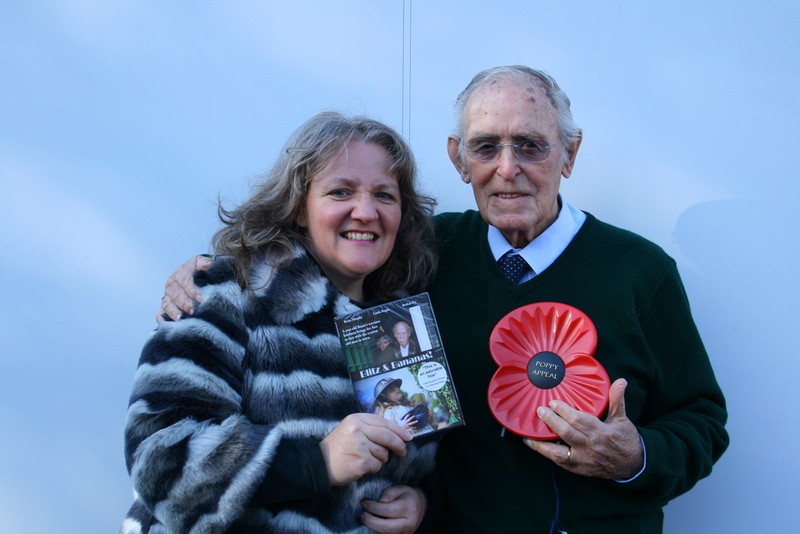 Anna and Les are pictured here as part of the DVD’s national launch.